We ask that you bring your “Home Y” membership card with you (if they issue them) and a valid photo ID. The reciprocal membership program is for full facility members only. Program only participants may upgrade to a full membership at any time to qualify. Upon your first visit, you will need to complete and sign a facility waiver form. The Ottumwa Family YMCA does honor other Iowa YMCA memberships for member program pricing. Please check with other facilities for details on their guidelines. The YMCA full facility members must use their home branch at least 50% of the time. If you have a special circumstance, please feel free to contact us! 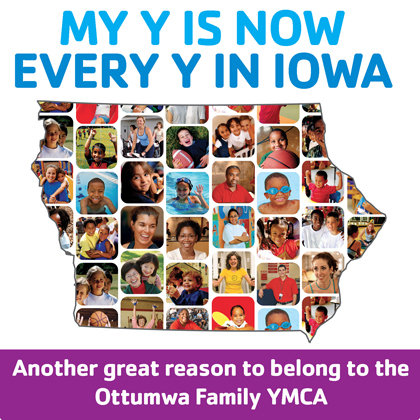 The Ottumwa Family YMCA reserves the right to restrict facility or program access. If you have any further questions regarding this program or it’s details, please contact Garrett Ross, SACC/Marketing Director at the Ottumwa Family YMCA at 641-684-6571 ext. 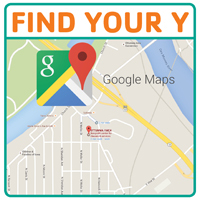 28 or email at garrett@ottumwaymca.com.